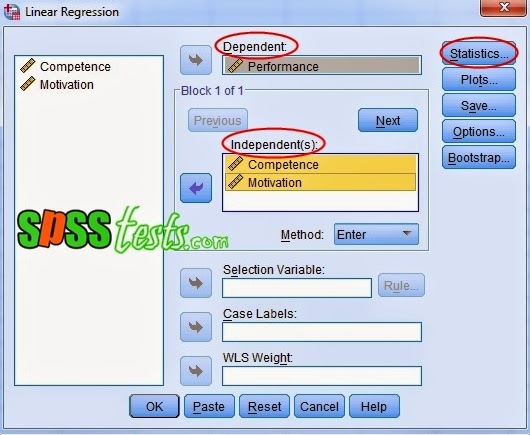 Multicollinearity Test Example Using SPSS | After the normality of the data in the regression model are met, the next step to determine whether there is similarity between the independent variables in a model it is necessary to multicollinearity test. Similarities between the independent variables will result in a very strong correlation. In addition, multicollinearity test done to avoid habits in the decision making process regarding the partial effect of independent variables on the dependent variable. Good regression model should not happen correlation between the independent variables or not happen multicollinearity. Test muticollinearity as a basis the VIF value of multicollinearity test results using SPSS. If the VIF value lies between 1-10, then there is no multicollinearity. If the VIF <1 or> 10, then there is multicollinearity. 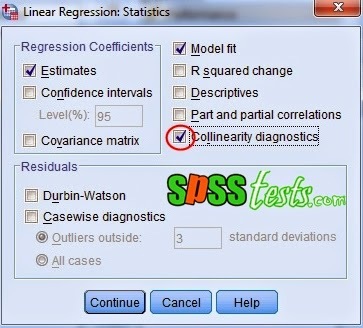 A company manager wants to know whether the regression models multicollinearity symptoms or not. Research title is "Influence of Competence and Motivation on Employee Performance". 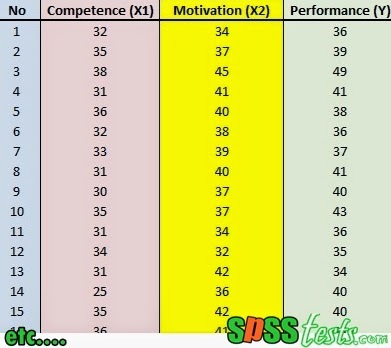 For the manager of the collected data competence, motivation and performance of employees from 40 samples. The research data as shown below. 1. 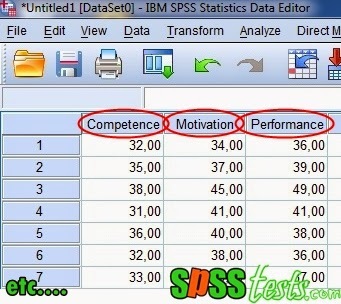 Turn on the SPSS program and select the Variable View, furthermore, in the Name write Competency, Motivation, Performance. Ignore the other options. 2. The next step, click the Data View and enter research data in accordance with the variable Competency, Motivation, Performance. Based on the Coefficients Output - collinearity Statistics, obtained VIF value of 1.812, meaning that the VIF value obtained is between 1 to 10, it can be concluded that there is no multicollinearity symptoms. After the test is completed multicollinearity researchers also should examine whether there was a difference of residual variance observation period to another period of observation by way of heteroscedasticity test. 12 Responses to "Multicollinearity Test Example Using SPSS"
nice. tq. but one question, if we have control and moderating/mediating variable, should we put all in one model or differently should be tested? 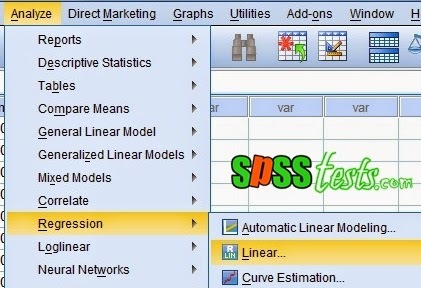 What is sequence of data analysis of a questionnaire in SPSS?